Take in some of the outdoor lighting fixtures released this year at the NAHB International Builders’ Show, Chicago’s Lightfair International, and at the AIA National Convention Expo. Outfitted with new technologies and design features, the following fixtures balance both safety and ambiance in their designs. Homann Park Louis Poulsen Glow rings on the top and bottom of this street lamp cast dynamic upward and downward illumination. The fixture is equipped with wireless connectivity that allows control of the light settings and provides WiFi for the surrounding area. These sconces filter light through geometric angled cuts. The fixtures are available in tall and narrow or short and wide profiles in three finishes: white, gray, and bronze. This fixture creates scalable lighting that can be mounted in two configurations. This allows it to illuminate low-lying areas like walkways, or conversely, to light parkways and roads from higher vantage points. Portal Illuminating Column HessAmerica Enveloped in an aluminum shell that shows no visible welds, this LED light diffuses from a “portal” opening. Lighting is evenly distributed upward and downward through lenses covering the apertures. The unit is offered in textured dark gray, graphite gray, or matte silver gray metallic finishes. 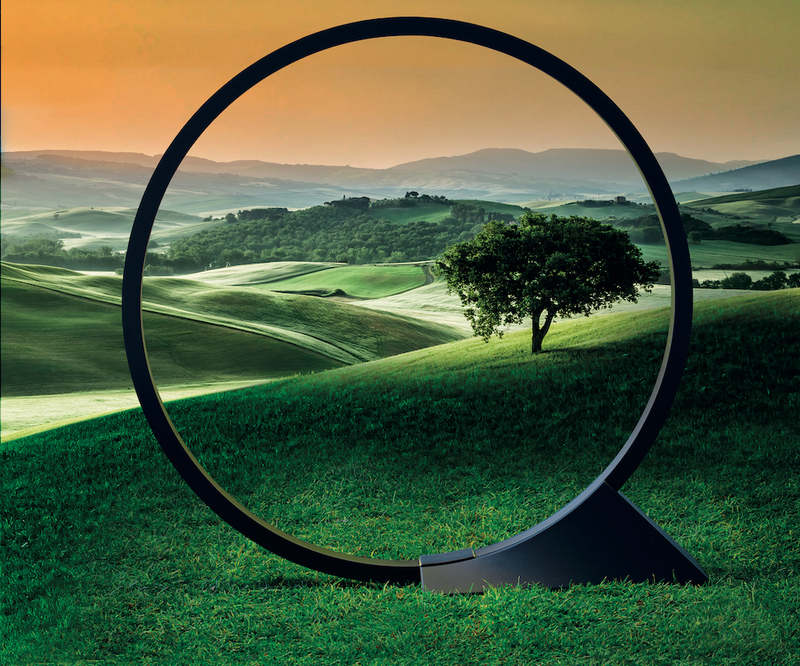 O Artemide Rendered in the shape of the letter O, this fixture was designed to respond to the surrounding landscape and reduce its ecological footprint in public spaces. Available as both suspension and ground luminaires, the ring is illuminated only when triggered by sensors or preset to turn on. Exelia LED SELUX Providing ambiance and safety, Exelia LED is designed to illuminate pedestrian walkways and other low-lying areas with four light distribution patterns. The die-cast and extruded aluminum column is coated in a Tiger Drylac–certified polyester powder-coat finish, making it resistant to impact and year-round weather patterns. Blade Les Jardins Solar Lighting Portable and rechargeable, this teak lamp can refill outside in four-to-eight hours of sunlight, or indoors in four hours via a USB connection. It is adjustable in a range of 100 to 400 lumens for custom lighting schemes. Illuminate public spaces and commercial areas with this charming bollard that provides up to 60,000 hours of safety lighting. It is offered with either warm or cool white LEDs with a black or bronze finish. 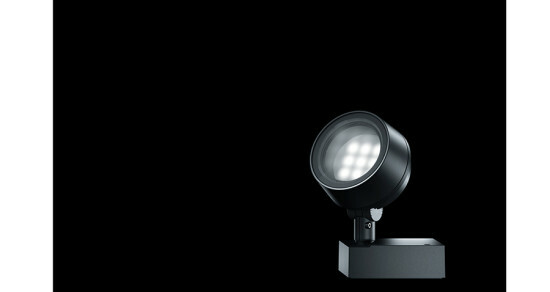 Glowline-Inground The Light Lab This ground luminaire offers the promise of unlimited lighting. Assembled using end-to-end positioning, this fixture’s low-profile linear acrylic LEDs can be installed recessed or flush in endless configurations: lining pathways, snaking up stairways, or articulating the curves of a sinuous facade.